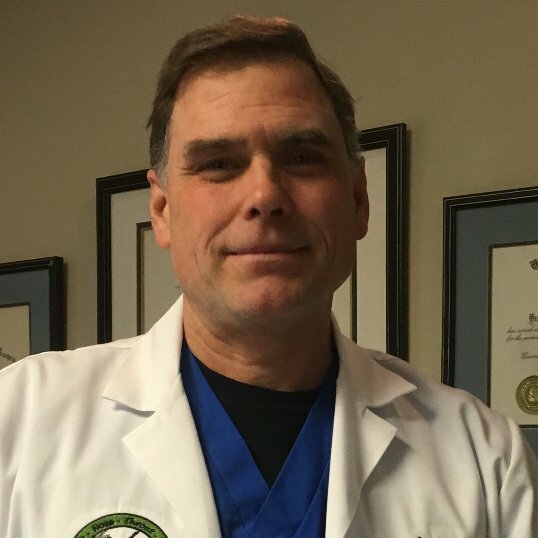 Dr. Brian Hasslinger is an award-winning Otolaryngologist with over 25 years spent in private practice. Dr. Hasslinger believes in providing compassionate care for all Ear, Nose, Throat & Allergy patients. From the time you arrive at Dr. Hasslinger’s office, you will be greeted by our friendly, attentive staff of sinus and allergy care specialists. Dr. Hasslinger takes pride in providing each patient with individual attention and a personalized treatment plan designed to achieve the highest quality ENT and allergy care. Hasslinger, B.J., Tomazic, V., Chretien, P.B. : Enhanced Cellular in Experimental Autoimmune Thyroiditis. Fed. Proc 42:1212, 1983. Gray, W.C., Revic, D.R., Hasslinger, B.J., Et Al: Thymosin Alpha 1 Modulation of Radiation induced cellular immune deficiency. Pro American Association Cancer Res. 26:281. Gray, M.C., Hasslinger, B.J., Oliver, J.H., Suter, C.M., Blanchard, C.L., Chretien, P.B., Goldstein, A.L. :Depression of Cellular Immunity by Head and Neck Irradiation: Precipitating Factors and Reparative Mechanisms in an Experimental Model. Arch Otolaryngol Head and Neck Surg. 112 (NOV): 1185-1190, 1986. Gray, W.C., Revie, D.R., Hasslinger, B.J., Suter, C.M., Blanchard, C.L., Goldstein, A.L., Chretien, P.B. :Spleen Cell Production of Interleukin 2 During Experimental Irradiation and Immune Restoration with Thymosin Alpha 1: Correlations with Irradiation Portal and Systemic Cellulary Immunity. Proc. America Association Can.Res. May, 1986. Gray, W.C., Revie, D.R., Oliver J.H., Hasslinger, B.J., Suter, C.M., Blanchard, C.L., Goldstein, A.L., Chretein, P.B. : Experimental Head Portal Irradiation Induced Depression of Cellular Immune Responses and Restoration with Thymosin Alpha 1. Surgical Forum 37:570-572, 1086. Kleiman, I.A., Hasslinger, B.J., Eddy, H., Suter, C.M., Blanchard, C.l., Gray, W.C.: Effects of Carbocisplatin and Irradiation on Skin Flap survival. American Academy of Facial Plastic and Reconstructive Surgery, Spring Meeting, 1991. Schedule an Appointment to Visit Our Office Today!